People have wondered if everything in the future will be purely digital. Our society is becoming increasingly wired, and technology is only getting smaller, faster, and more affordable. Publishing books to e-readers instead of hardcopies, advertising online with PPC campaigns and other purely digital formats, and sending potential clients emails containing your latest offers are just a few cases that can now be facilitated digitally. Before the technology revolution, these cases would have been solved by printing hardcopy books, ads, and direct mail campaigns. The digital era is competing with printed media. However, don’t disregard physically printed media just yet. Print isn’t going to disappear, and we’ll tell you why. If you are debating between digital or print advertising, you may want to consider print advertising because of its ability to reach your target market a greater number of times. While it is true that certain forms of digital advertising are well adept at generating leads, you may want to consider the concept of persistence first. 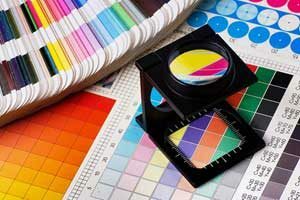 Physical printed media maintains persistent advertising, while digital ad campaigns do not. What we mean by this is that digital ads are extremely ephemeral, and vanish after your target audience closes their web browser. Physical print media, on the other hand, will advertise itself many times over. Take a branded coffee mug or calendar, for example. How many times do you think your advertising target views your brand during the lifetime of that object? Odds are they will think of your company or brand far more frequently than if you were to select a digital ad campaign. One great thing about print ads is that they do not tend to annoy or irritate your audience to the extent digital ads usually do. How many times have you been surfing the web, only to be inundated with a flurry of pop up ads so frustrating that they actually raise your blood pressure? Do you think those ads are effective at advertising a brand or successfully send a message to their intended audience? Printed ads typically do not annoy your target audience because they are usually less pushy and invasive. Yet another downfall of digital campaigns is the inability to be personal. Think about all of those marketing emails you have received over the years. How many of them did you actually read? People on the receiving end of a digital marketing campaign feel like they are being treated like a sales figure and not a person. Direct mail campaigns are very personal, though. They are frequently more effective too, because more people take the time to read their mail than they do the spam folder in their inbox. Wouldn’t you rather receive a letter or postcard in the mail instead of spam email that for all you know could contain a computer virus? Print media marketing really is a more personal way to promote your organization without aggravating your audience. So if you are caught deciding between a campaign using digital or print media, give print a second thought. It can work wonders for your business or organization when implemented correctly.